Is it true that an infinite sequence of integers of positive (lower) density contains arbitrarily long arithmetic progressions? The first result in this direction was due to K.F. Roth, who proved that any sequence of integers of positive (lower) density contains a three-term arithmetic progression. Later I proved this for 4-term arithmetic progressions and then for arbitrarily long arithmetic progressions. My proof was completely combinatorial. Immediately after that I proved this, Fürstenberg gave an alternative ergodic theoretical proof of this theorem. A whole new branch of ergodic number theory arose from this, with several extensions. Among others, a very strong generalization of the theorem, the "density version" of the Hales-Jewitt theorem was proved. Tim Gowers introduced new methods and made the theorem "efficient". One related very important relatively recent result in the field was the Green-Tao theorem, according to which the primes contain arbitrarily long arithmetic progressions. I will survey these and related results, and give some simple proofs. Following Monday's lecture, there will be a reception in honor of Professor Szemerédi at the Koenig Alumni Center, 1202 University Avenue (the SE corner of Broadway and University). I will describe and illustrate a method to embed relatively sparse graphs into large graphs. This will include the case of Pósa's conjecture, El Zahar's conjecture, and tree embedding under different conditions. Among other things, we shall give several generalizations of the central Dirac Theorem, both for graphs and hypergraphs. The methods used are elementary. A large part of this work is joint with coauthors, e.g. Asif Jamsed, Imdadullah Khan, Sarmad Abbasi, and Gábor Sárközy. Endre Szemerédi was born in Hungary and received his PhD from Moscow University in 1970 under the direction of I.M. Gelfand. 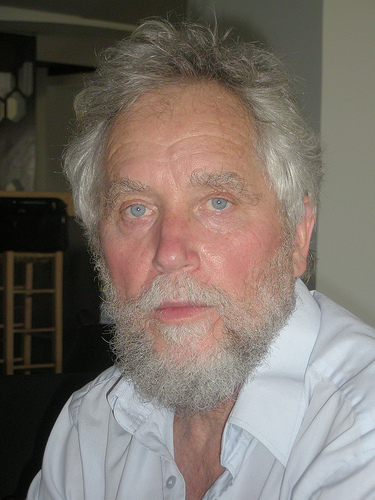 His research interests include arithmetic combinatorics, extremal graph theory, elementary number theory and theoretical computer science. Since 1986, he has held a State of New Jersey Professorship of Computer Science at Rutgers University, and he is also a permanent research fellow at Alfréd Rényi Mathematical Institute. Professor Szemerédi has received numerous prizes and honors, including being elected to membership of the Hungarian Academy of Sciences in 1989, and to the American National Academy of Sciences in 2010. He is married and has five children. This Lecture Series is funded by an endowment given by Professor Ira M. DeLong, who came to the University of Colorado in 1888 at the age of 33. Professor DeLong essentially became the mathematics department by teaching not only the college subjects but also the preparatory mathematics courses. Professor DeLong was a prominent citizen of the community of Boulder as well as president of the Mercantile Bank and Trust Company, organizer of the Colorado Education Association, and president of the charter convention that gave Boulder the city manager form of government in 1917. After his death in 1942, it was decided that the bequest he made to the mathematics department would accumulate interest until income became available to fund DeLong prizes for undergraduates and DeLong Lectureships to bring outstanding mathematicians to campus each year. If you have any questions concerning this lecture series, please contact Richard Green.